Today we are thrilled to be hosting a giveaway for one pair of these handcrafted iolite earrings set in both sterling silver and 14k gold from Moonwish Jewels. Aren't they beautiful? The mix of precious metals with the bright gemstones make these earrings such special adornments that could be worn as everyday jewelry. Moonwish Jewels is the collection of jewelry designer, Lisa Alcala. 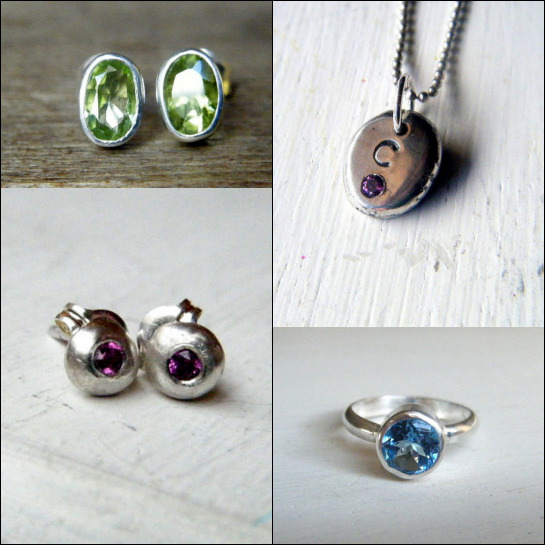 Lisa works to create affordable handcrafted sterling silver and gemstone jewelry in her California studio. 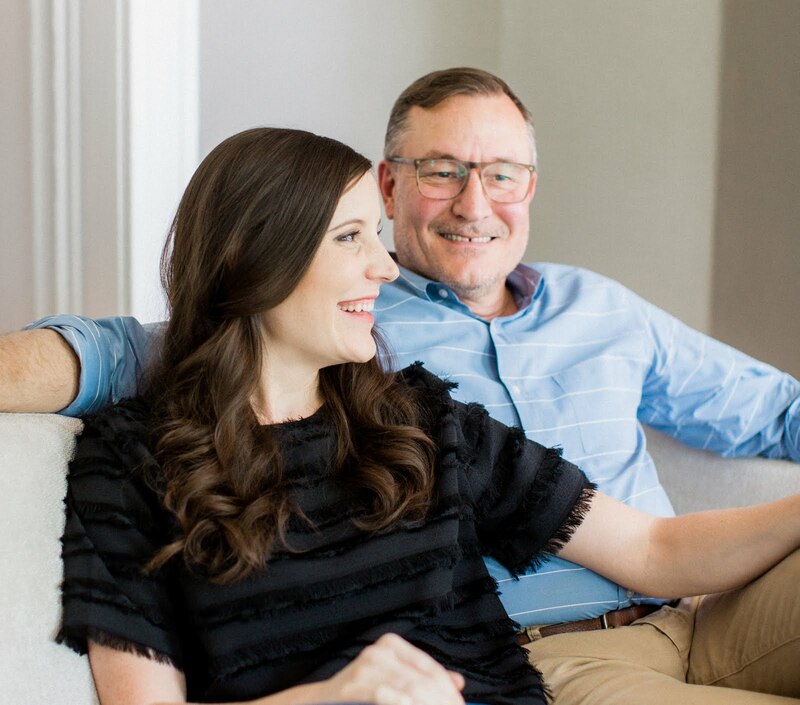 She incorporates genuine gemstones, sterling silver and gold into her creations — and recycles silver and gold scraps into original eco-friendly jewelry designs. Check out the full collection in the Moonwish Jewels Etsy shop and keep up with new designs as they're listed by following the Moonwish Jewels Facebook and Twitter pages. In addition to the giveaway, Lisa is offering a 17% off discount your entire Moonwish Jewels order to all 17Apart readers with the code 17OFF at checkout! 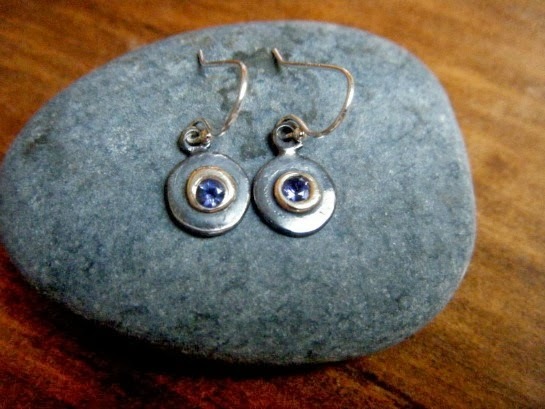 One of our readers will win the pictured pair of iolite, sterling silver and 14k gold earrings handcrafted in California by Lisa Alcala of Moonwish Jewels. Learn more about Moonwish Jewels and see the entire collection here. To enter, simply use the Rafflecopter form below — it should load right below this paragraph. For those unfamiliar with Rafflecopter, you fill in the fields using your choice of Facebook or your email, which is only used to contact the randomly selected winner (no spam) — it's that simple. The earrings from today's giveaway were generously provided and will be shipped directly from Moonwish Jewels — thank you so much for supporting the sponsors that make 17 Apart possible. I like the blue ring! I love the Peridot earrings, that is my birthstone! I love the Chrysoprase And Sterling Silver Cuff Bracelet. Such gorgeous things! I like Rhodolite Garnet And Sterling Silver Stud Earrings Recycled Silver. Chrysoprase And Sterling Silver Cuff Bracelet my favorite!! My favorite item from the shop is the Trillion Cut London Blue Topaz and Sterling Silver Ring. I love the Peridot earrings. My fav is Mystical Moon Medallion Ring In Sterling Silver & Moonstone Eco Friendly Size 7,so pretty! I'm an earring girl so my favorite is the silver and diamond raindrop earring set. Thanks! Love the garnet stack ring! Love, love, love the Sapphire Sterling Silver Twig ring!! beautiful piece of jewelry, I like it. Let me say first that I just adore the prize earrings- and the moment I saw them I knew that they would make a perfect gift for my sister - but if I won them I'm not sure if I could part with them! I even think it would go well with and even enhance my wedding rings set. 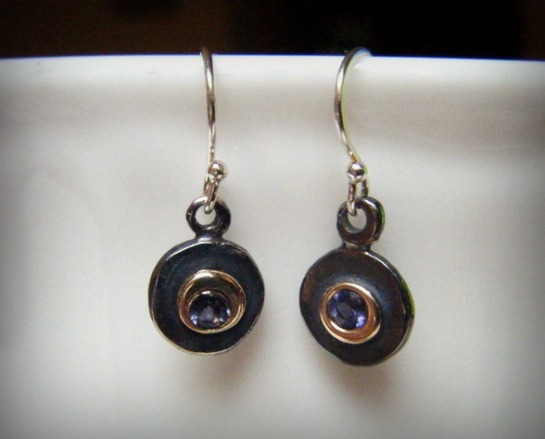 I love those Iolite Earrings! They are beautiful! Magic! Fantastic! I love the Petite Ruby, Sterling Silver, And 14kt Gold Dangles. I like the Swiss Blue Topaz And Sterling Silver Ring. Love the Peridot and Sterling Silver Stud Earrings, gorgeous! I liked the Faceted 14kt gold Nugget and Sterlng Silver Ring, simple and elegant. I really love the aquamarine rhodolite garnet ring. It was very difficult to pick just one favorite. Your necklaces are very versatile and could easily be worn at work, on a relaxing afternoon with friends, or an elegant date night.